Observation - Deilephila elpenor - UK and Ireland. 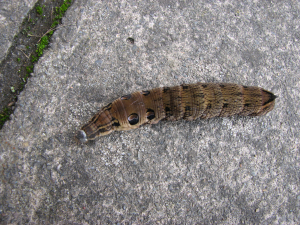 Description: This was found on the slabs in the garden- it's quite a beastie! This was found on the slabs in the garden- it's quite a beastie!